Altitude Lawn Care and Landscaping, Inc. Comment: Our front steps and are part brick, part concrete and it has settled unevenly. Would love to get a bid as spin as possible. Thanks. F & J Stone Walls, Inc.
Louisville Concrete Contractors are rated 4.75 out of 5 based on 1,794 reviews of 84 pros. 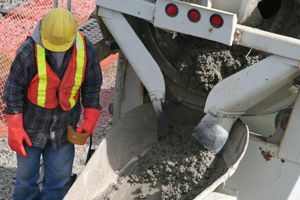 Not Looking for Concrete Contractors in Louisville, CO?